Annual Festivals / Entertainment / Food & Wine / Outdoor Events in or near Knysna, Garden Route in the Garden Route, South Africa. This very popular and highly colourful celebration is always a highlight on the international Gay Calendar. 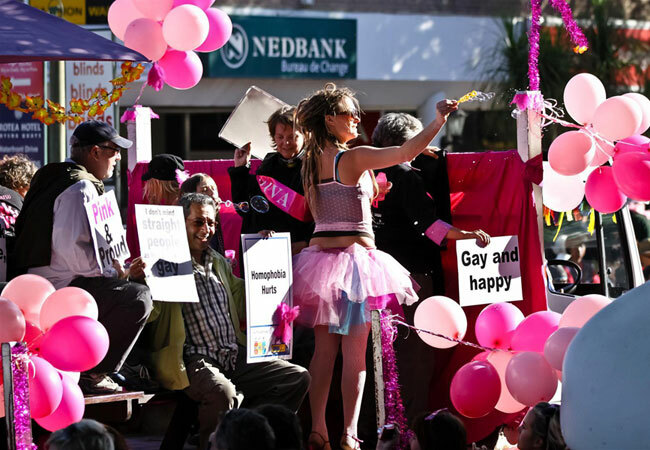 The Pink Loerie Mardi Gras offers four days of non-stop entertainment for Gay people as well as for everybody that have a need for superb entertainment, major partying or just having loads of light-hearted fun and laughter. With thousands of like-minded people absorbing the carnival atmosphere, energy levels will have to remain at a peak! 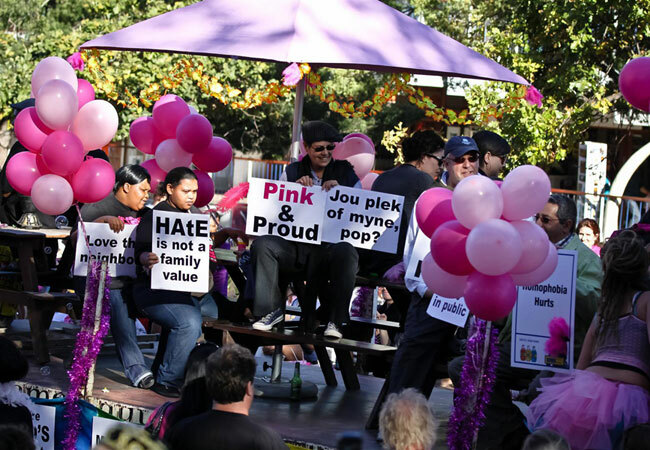 The Pink Loerie Mardi Gras is getting bigger, better and a bit more outrageous by the year. A unique experience not to be missed! To avoid disappointment it is advisable to book your accommodation well in advance for this event. Visit the Knysna Accommodation pages to find guest houses, hotels and self catering places and for additional info about Knysna which includes attractions, restaurants and Things to Do, see Knysna Attractions. Knysna, Africa's gayest town, is an exceptionally popular international tourist destination and has also earned the coveted title of officially being "South Africa's Favourite Town of the year" (twice in a row). During the Pink Loerie Mardi Gras the entire town of Knysna will be painted Pink again by thousands of party animals… as well as other animals, from all over South Africa, Africa and the rest of the world! So grab your party hat and come and join in the furiously flamboyant fun!